This 38 year old, Virginia Beach mother of four attended one of our annual seminars to learn more about body contouring. 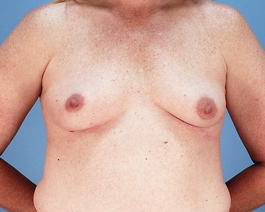 Following the births of her children, she was concerned about the looseness of her abdominal skin and loss of volume in her breasts. 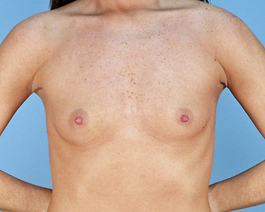 During our discussion and exam, we determined that she did not need a breast lift. Her shape was actually good; she just needed more fullness which could be accomplished with breast implants. 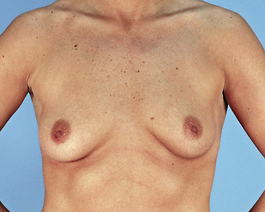 An abdominoplasty (tummy tuck) was done at the same time as her breast augmentation to eliminate the loose skin on her stomach (see Case 184 in the tummy tuck photo gallery). 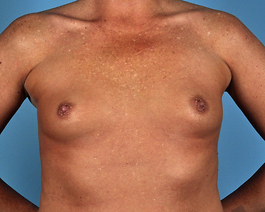 This mommy make-over was done very safely with one single procedure because she did not require a breast lift.